Italian Tradition Returns to Italy…Texas style! Paul and Merrill Bonarrigo established the Messina Hof Winery in 1977, and Messina Hof is now the most awarded Texas wine in national and international competitions! He is Chairman of the Texas Wine Industry Development Advisory Committee and Marketing chair for the Texas Wine Grape Growers Association, and she is an author of “Vineyard Cuisine” and lecturer at the Hilton School of Hotel and Restaurant Management. As Supreme Knight and Lady of Knights of The Vine, the Bonarrigo’s are well known nobility in the Texas Wine market, and the growing Messina Hof businesses are becoming more recognized to those outside of Texas and the US. 1.) Paul, you were a speaker last year, welcome back! As the 2012 Wine Conference takes place in Umbria, Italy this year, how do you view Italy as a wine destination? Italy is the ultimate wine destination. Wine and grape growing is everywhere. Italy has inspired wine making and grape growing technology. Most of my wineries equipment was made in Italy. The food and wine experience of Italy is what has inspired Messina Hof Winery in my home state of Texas. 2.) You have been a part of Texas agriculture for years, can you talk about how Texas has evolved as a force to be reckoned with? Texas has evolved from last in the USA in wine production when we began in 1977 . Today Texas is 5th in the US and the fastest growing state in the US. In 1977 we were one of 3 wineries and now we have 260 wineries in Texas. Texan consumed less than 1 bottle of wine per year in 1977. Today Texans consume 11 bottles of wine per year. Our wine is now shipped to more than 32 states in the US. In 2010 we had 250,000 visitors come to Messina Hof in Bryan Texas and we expect more than 300,000 visitors in our new winery in Fredericksburg, Texas. The Texas wine tourism is second only to Napa Valley. 3.) At the conference, you will be talking about how to retain customers in a competitive tourism business, can you share a little bit about what it takes to turn visitors into long term customers? At Messina Hof we retain customers by inviting participation in everything we do. Our belief is that all of our customers are part of our family. We offer an Ambassador Program where our customers represent us at more than 200 tastings during the year. Our customers help us pick and process the grapes. Last year more than 2000 customers participated in harvest. We provide blending workshops, barrel tastings and tank tastings. 4.) You have roots in Italy dating back six generations, what about Italy inspires you the most? Italy inspires my creativity. The land, the people and the charm of the Italian people stimulates my imagination. Italy is the perfect place to have a conference which brings people together from all over the world to promote food and wine. 5.) What is your favorite Italian wine and food pairing? My favorite wine of Italy is Nero D’ Avola with Fettuccine Alla Carbonara. 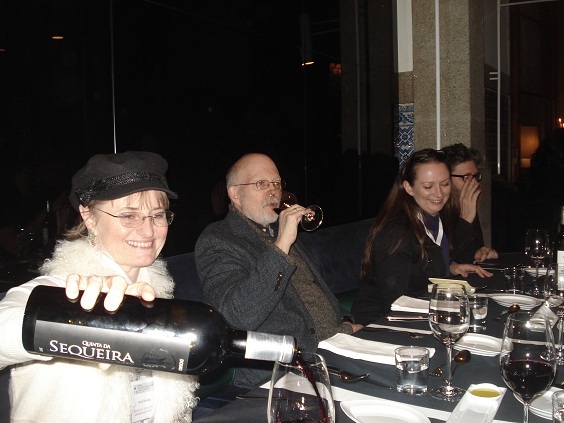 Join the 2012 International Wine Tourism Conference and network with Paul and Merrill and 200 – 300 more attendees. Paul and Merrilll will be delivering a talk at the Wine Tourism Conference on January 31‘s at 12:30, titled: Connecting with Visitors and Turning Them into Long Term Customers.